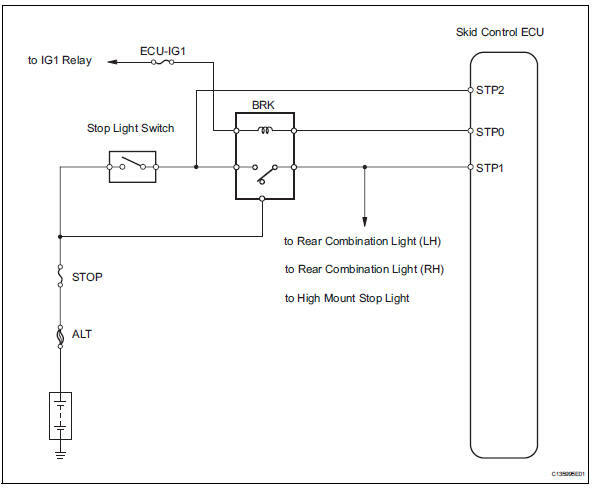 An open is detected in the stop light signal input line when the stop light switch is off. 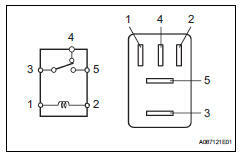 An open is detected in the stop light circuit lead to the ground when the stop light switch is off. 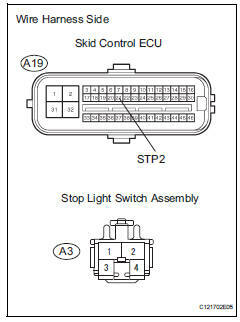 Check the data list for proper functioning of the stop light switch. Ok: on (brake pedal is depressed) appears on the screen. 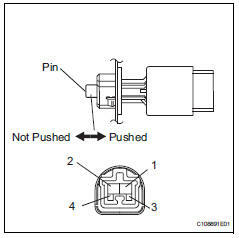 Remove the stop fuse and ecu-ig1 fuse from the instrument panel junction block. Remove the stop light control relay from the engine room no. 1 Relay block. 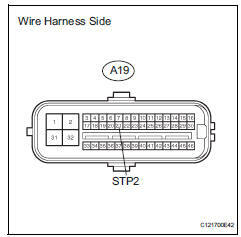 Disconnect the a3 switch connector. Check if the same dtc is output (see page bc-47).